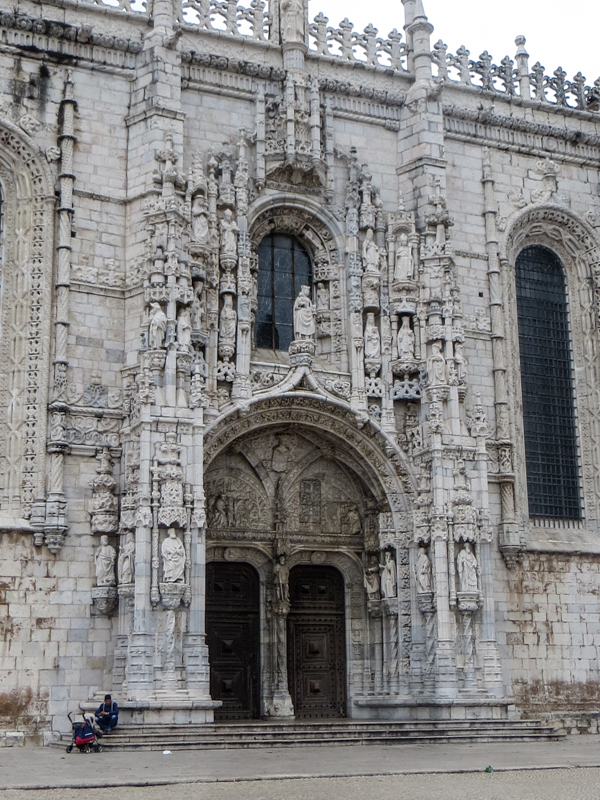 Another extraordinary building – the Monastery of St Jerónimos is a World Heritage Site in the Belém quarter of Lisbon. 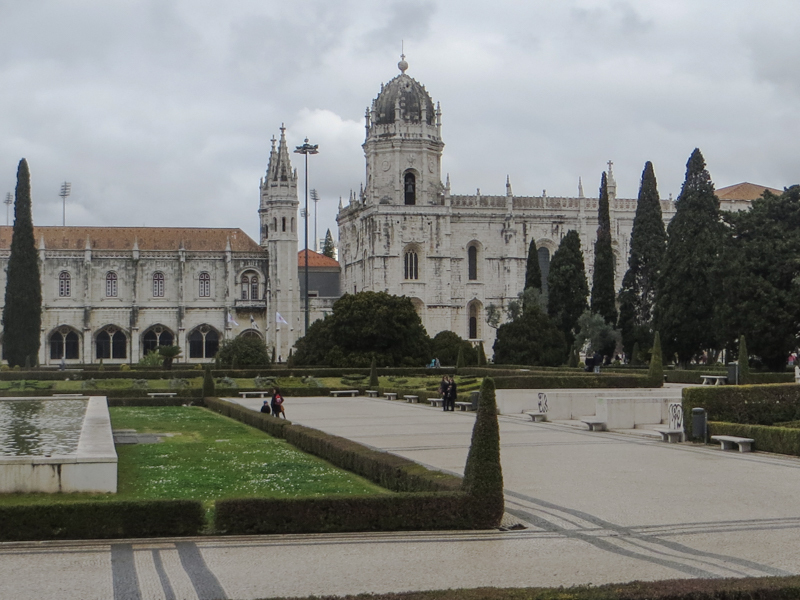 The buildings were begun in 1501 during the reign of King Manual I (1469-1521) who was also responsible for the Tower of Belém. The King initiated the building in thanks for Vasco da Gama’s successful voyage to India and was built with money gained through the spice trade. 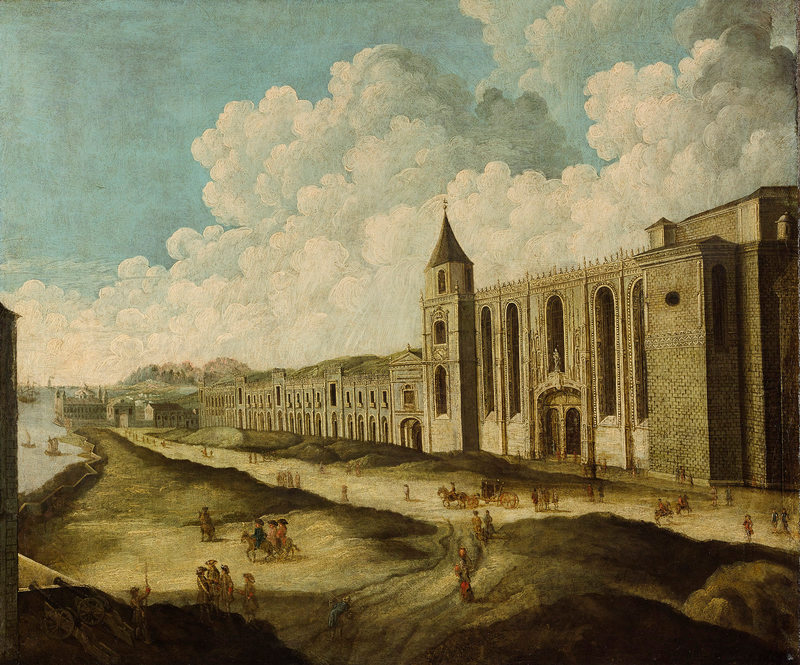 The monastery was built on the site of a previous chapel of the Order of Christ which had supported seafarers. 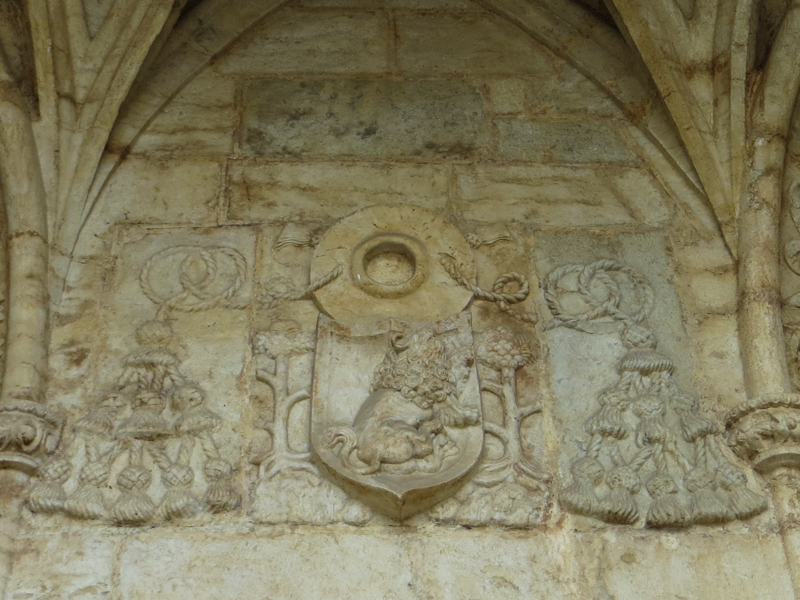 King Manual installed monks from the Hieronymite Order (the Order of St Jerome) to occupy the new buildings. Astonishly the buildings survived the earthquake of 1755 with only slight damage but were allowed to decay after the religious orders were dissolved in the 1830s. Restoration began in the 1860s and continued for many years thereafter, and in 1984 it was declared a World Heritage Site. 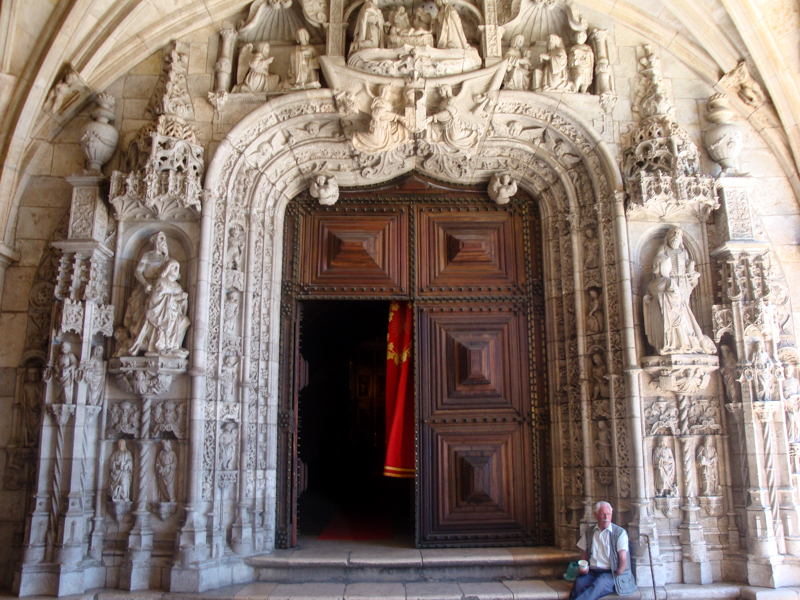 This ornate door, facing outwards, is not the main door, which is ‘concealed’ inside the building and facing the altar. On our visit it was also ‘concealed’ by tourists and the second photograph is from Wikipedia, as credited. 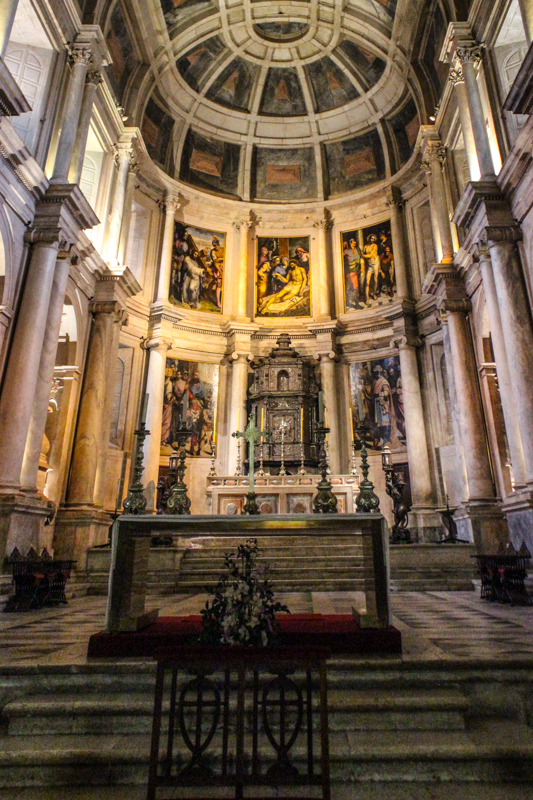 Inside the Church I had a sense of fragility – could that be possible with such a massive stone building? I apologise for the quality of these photographs as I had to rely on the Canon SX240 and edit in Lightroom. 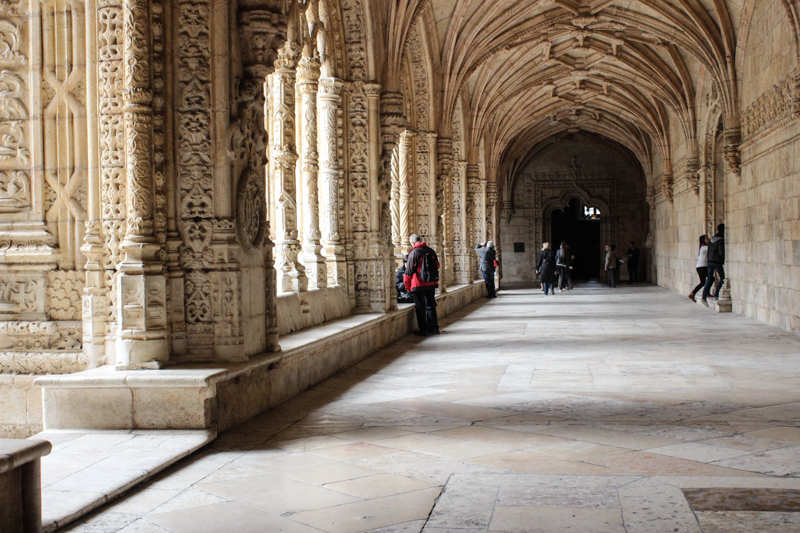 The glory is the cloister, designed by João de Castilho on two levels. The stonework is breathtaking, with many reminders of the sea in rope designs and fantastical sea creatures.